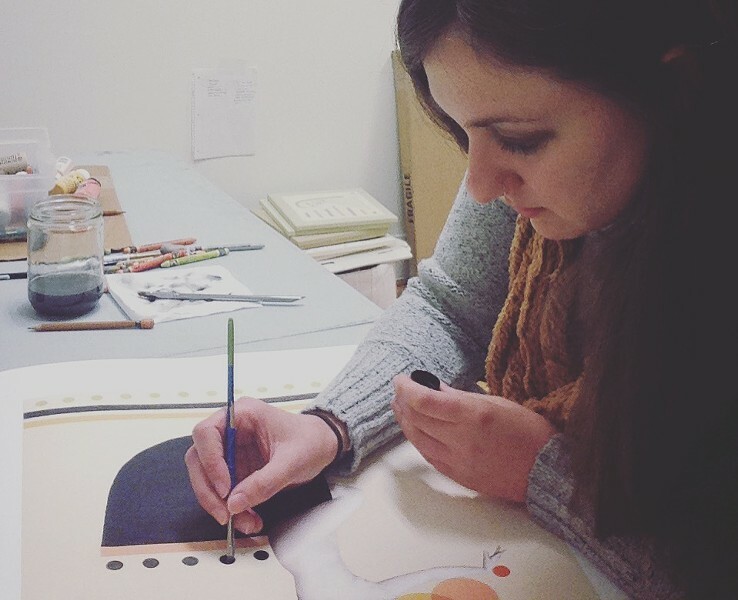 In mid-November last year, Pennsylvania-born artist Athena Petra Tasiopoulos took up residence at Barre nonprofit art center and gallery Studio Place Arts. 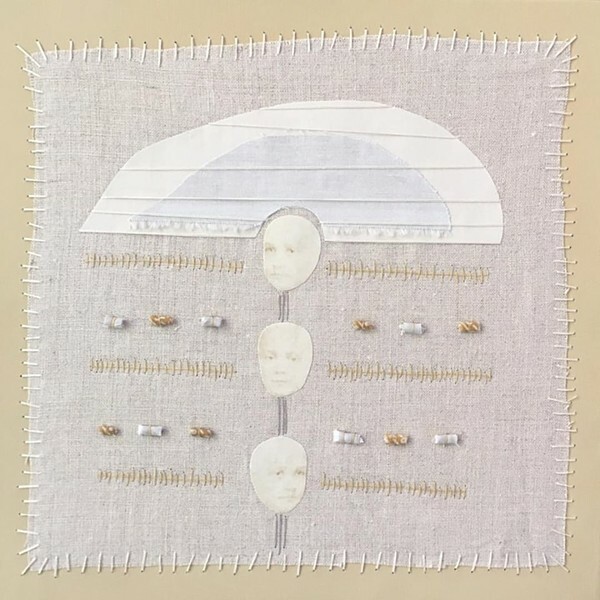 Many of the works created during the first weeks of her 10-month tenure have already made their debut — at Vermont Metro Gallery's exhibition "The Past Present," which opened on Friday, January 20. The show features Tasiopoulos' distinct graphic collages alongside the expansive silhouette paper-cut works of Molly Bosley. Tasiopoulos moved to Vermont with her husband in 2011, first to Montpelier and then, two years later, to Barre. Her integration into the local art scene has been steady: Her works have appeared in a number of group shows over the past couple of years — at the ONE Arts Center in Burlington and Axel's Gallery & Frame Shop in Waterbury, among others. Last January through June, she was one of New City Galerie's artists-in-residence. Now, Tasiopoulos is grateful to have a workspace that's just a five-minute walk from her home. "It doesn't really get any better than that," she told Seven Days by phone. "To be able to have a project out, leave, and then come back to it," she continued, "is so much more freeing. I can just dive into [my work] a little bit more." The program was initiated by SPA executive director Sue Higby. 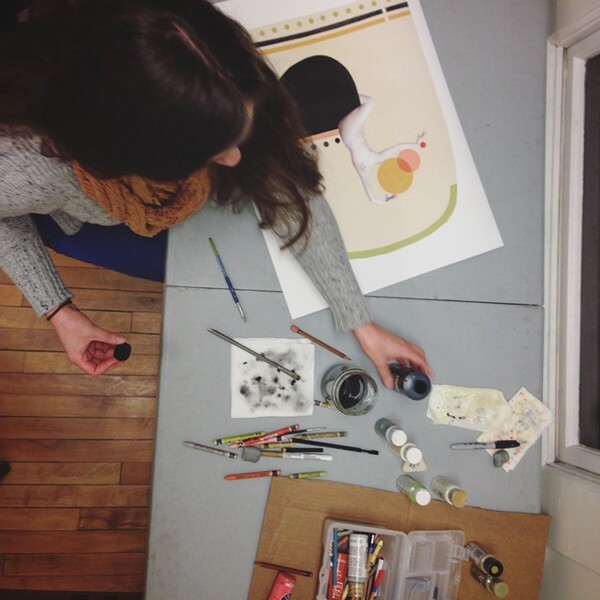 She secured funding from an anonymous Vermont donor who, Higby said, "has placed a huge value in making studio arts." She continued, "I think she would be quick to say that her life was very complicated when she was a young artist, and having a studio space made a significant difference." Tasiopoulos is the second artist selected for the Studio Residency Program. The inaugural participant in 2015 was Shannon Lee Gilmour, a Montpelier-based "environmental artist" who works with post-consumer plastics. Higby put out the second call for proposals in early summer 2016 and interviewed a handful of applicants prior to selecting Tasiopoulos. Higby noted that many artist residencies are short in duration, and she's pleased that SPA is able to offer 10-month stints. Working artists need expanded timelines. Tasiopoulos holds two part-time positions: She is assistant gallery manager at Stowe's Green Mountain Fine Art Gallery, and works at the Francis Foundation in Middlesex. Vintage photographs are at the core of Tasiopoulos' work. Her collaged compositions begin with found images of women that she digitizes and reproduces, isolating fragments — faces, mouths, torsos, legs. These elements become central building blocks, surrounded by highly geometric, repetitive mark-making in thread, paper, ink and paint. She often favors pale, neutral hues. The resulting pieces suggest methodical adherence to a formula that is recognizably hers. With the opening of her Vermont Metro exhibition, Tasiopoulos says she hopes "to switch gears a little bit ... to dive a little bit deeper and put together a more substantial body of work." Many of her works to date are small — 6 by 6 inches or 8 by 10 inches — and the artist says she's working toward a larger scale. 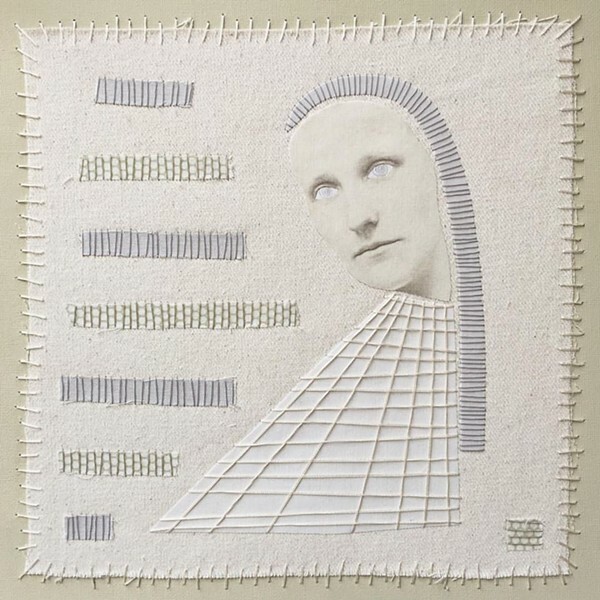 Tasiopoulos has also been experimenting with transferring portraits onto fabric, approaching more textile-based works. "They're such lovely objects — I have a reverence for them," she says of the found photographs. "I really want to respect them and make them relevant again."